As humans, one of the biggest challenges we face is letting go of the past. Of course, we don't need - or want - to leave everything behind. There are memories, experiences, and relationships that will continue to nourish and support us. But it's not always easy to distinguish these from the things that would hold us back, or hamper our progress. The distinction between the two may be obvious, but sometimes things are below the surface of our awareness / sub-conscious. You may find yourself daydreaming about things that happened, old relationships, or experiences that you lived through in the past. Perhaps you will enjoy a trip through memory lane via photo albums or by listening to music that evokes a certain time or place. Alternatively this may be something comes up while you’re meditating, reading cards, or connecting to your intuition in some other way. Jim Rohn said that the past should be used as a school, and not as a stick (to beat yourself with). This is sound advice indeed. 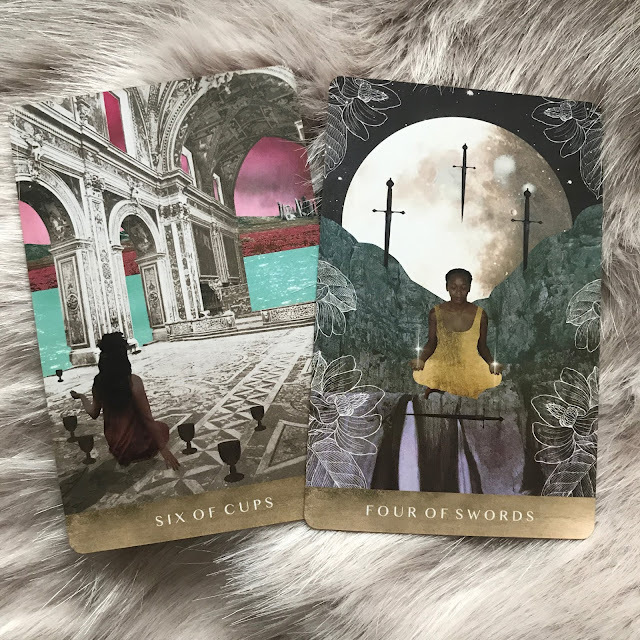 Today's cards suggest this is a good time to stop and reflect on any emotions or thoughts that you can now release in order to heal, find balance, and create the life that will truly serve you.